However, this was not suitable for locations that had limited space. Yanmar was the first to introduce the zero tale swing excavator around twenty years ago. The zero tail was designed so that the counterweight was just limited to a specific area on these tracks. This turned out to be a much safer design, which is why almost all modern excavators borrow from this basic design. In the construction industry excavators are used for foundations, holes and to dig trenches. These are also used in the forestry and dredging industry. However, because there are so many uses of an excavator there are various types, some of the main types include compact long reach, drag line, power shovels, and suction excavators. These are comparatively small wheeled machines weighing around 0.7 tones. The overall movement of these lifts is further enhanced by the use of hydraulic fluid powered cylinders. These excavators have a work group that is situated under the under carriage and the house. Here the house is mainly used for slewing while the machine’s undercarriage provides major support to the machine’s workgroup and house. In the compact model the workgroup consists of a bucket, arm and boom. This happens to be one of the most popular and the main excavator being sold and rented today. These machines are built to mainly assist with heavy workloads like in the mining industry. 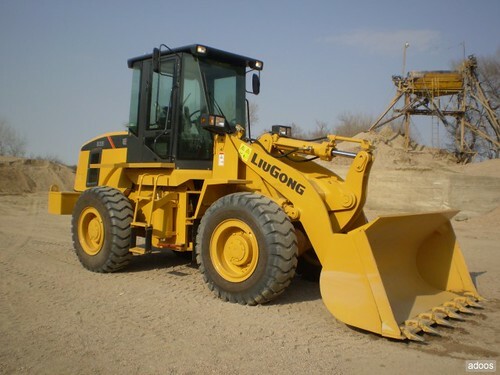 These are comparatively large machines and come with a huge horsepower rating. That said these are the most well-known types of excavators in the world. They also happen to be some of the most expensive excavators to hire. These are a favorite in the engineering and mining industry. Generally, there are two primary types of draglines i.e. lifting cranes and then heavy duty machines that are assembled on site. The beauty of these excavators is that they can easily be dismembered and then ferried by a trailer. Small cranes are often used by engineers on road building, port construction and pond construction projects. The larger these are the more work they take to assemble on site but they are a great help in the sand and tar mining industry. The boom and bucket are moved in the air using ropes and a powerful motor. These are excavators that have a very long arm. The overall length of the arm is best suited for destruction or demolition activates. These can reach over on the top of most buildings in order to crumple them to the ground. These are also known as vacuum excavators. This type of excavator equipment is used to lift and clear smaller debris particles both on land via a large suction pipe. In most models the suction pipe measures around a food in overall width. The pipe also consists of a nozzle along with handles that are used to mainly control the machine. Within the suction pipe are teeth that are used when it has to cut through the earth during an excavation activity. There is also an air lance jet that loosens the earth using water prior to sucking everything out. This type of excavation is regarded as being safe for procedures that require removing elements located underground. These are also regarded as stripping shovels, front shovels and electric mining shovels. This machine is mainly used to extract minerals, and for digging the earth. The shovel works by using a removing gadget and a counter weight that digs and then pulls a bucket via wheels. This type of shovel is commonly used in the coal mining industry. These are also often referred to as steam shovels. Mark is a 20 year veteran of the construction industry and he’s currently working for www.artconcivil.com.au. He not only runs his own excavator hire business but also provides excavation services to a select few clients in Australia.